Our rental program is catered to professional landscapers and construction contractors in need of longer term use of light construction equipment. 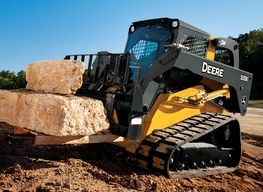 Skid steers, track loaders, and excavators are available for weekly and monthly rentals at great prices. Contact us to reserve equipment today!